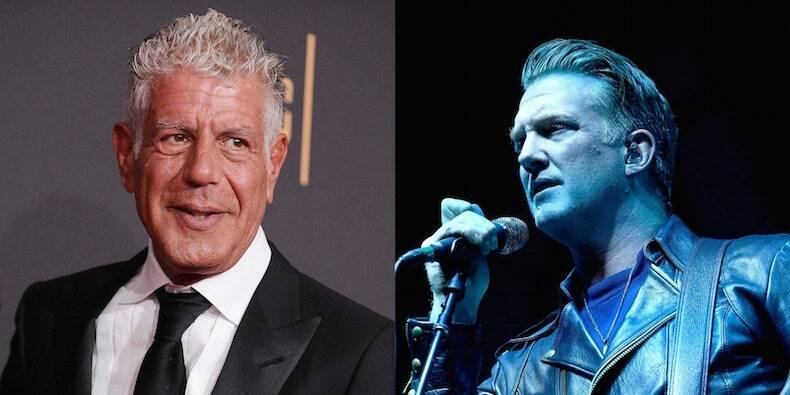 Queens of the Stone Age have paid their respects to the late chef Anthony Bourdain. The “Parts Unknown” presenter was found dead yesterday morning while filming an episode in France. Last night, the band performed their Lullabies to Paralyze song “Long Slow Goodbye” during their set at Denmark’s NorthSide Festival. “Sometimes you lose somebody,” Josh Homme, a longtime friend of Bourdain, said to the crowd. “And today we lost somebody, so this song is for Tony.” Watch the performance via Consequence of Sound below (it begins around the 46:00 mark).